GS Biology 2019: M.Sc. Biological Science Question Paper and Answer Key: Official / Original Previous Year (Old) Solved Question Paper of TIFR (Tata Institute of Fundamental Research) JGEEBILS (Joint Graduate Entrance Examination for Biology and Interdisciplinary Life Sciences) GS Biology Examination 2019 with Answer Key and Explanations as PDF. 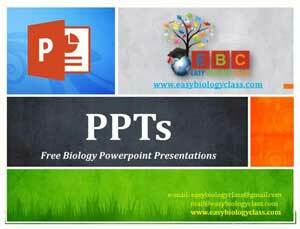 GS Biology aspirants can download the question paper as single PDF file for your exam preparation. Please feel free to inform the Admin if any mistakes in the answer key. GS Biology 2018: M.Sc. Wildlife and Conservation Biology Question Paper and Answer Key: Official / Original Previous Year (Old) Solved Question Paper of TIFR (Tata Institute of Fundamental Research) JGEEBILS (Joint Graduate Entrance Examination for Biology and Interdisciplinary Life Sciences) GS Biology Examination 2018 with Answer Key and Explanations as PDF. GS Biology aspirants can download the question paper as single PDF file for your exam preparation. Please feel free to inform us for any mistakes in the answer key provided. GS Biology 2018 Question Paper and Answer Key: Official / Original Previous Year (Old) Solved Question Paper of TIFR (Tata Institute of Fundamental Research) JGEEBILS (Joint Graduate Entrance Examination for Biology and Interdisciplinary Life Sciences) GS Biology Examination 2017 with Answer Key as PDF. GS Biology aspirants can download the question paper as single PDF file for your exam preparation. Please feel free to inform the Admin if you find any mistakes in the answer key.